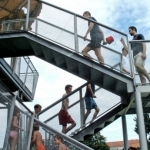 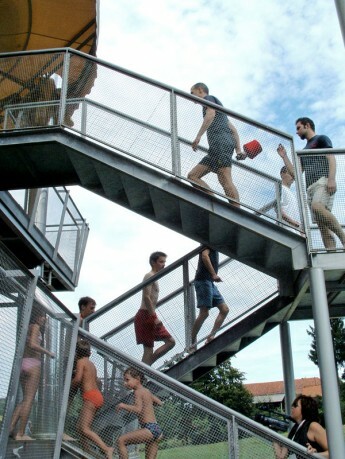 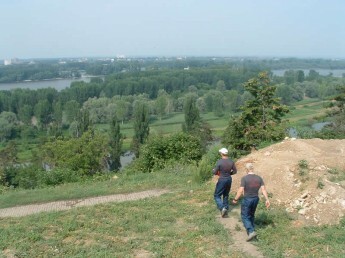 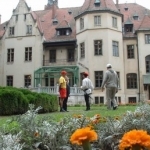 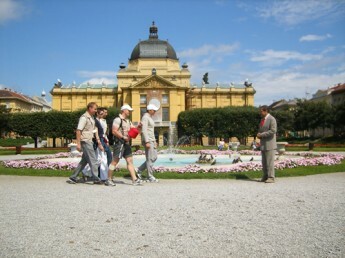 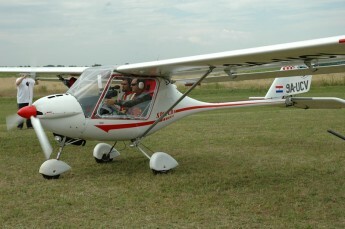 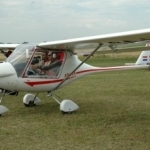 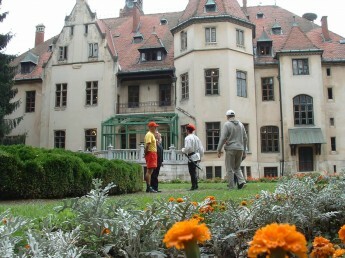 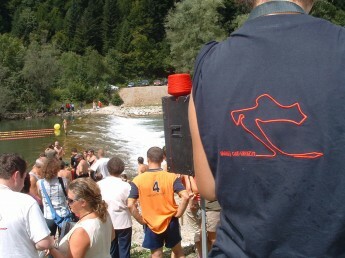 Academia Cravatica has performed another spectacular project in the summer of 2006 . 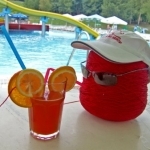 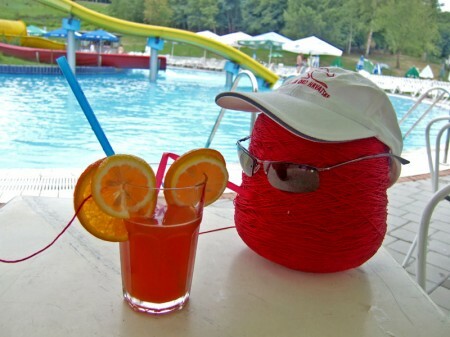 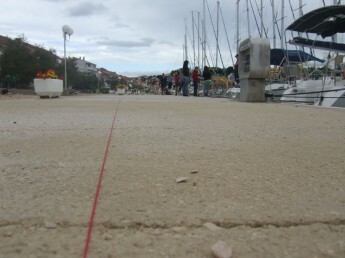 The basic idea of the project is to connect all Croatian regions with a red thread (ribbon), which symbolises connecting Croatian cultural and geographical diversities into a whole, along the state borders and organise various activities in cities and interesting tourist locations. 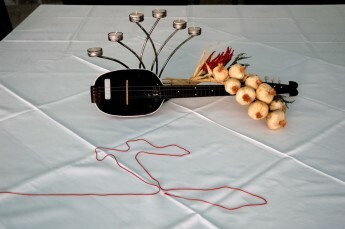 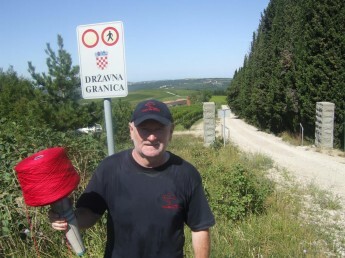 Using a 4000 odd kilometres long red thread placed along land and sea borders, connect and embrace Croatia using symbolic messages of love; connect Croatian regions and establish closer relationships with borderers of the neighbouring countries. 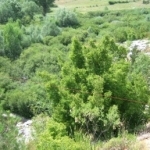 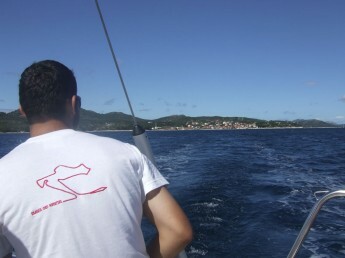 Promote Croatian natural resources, its cultural identity and promote Croatia as the homeland of the tie. 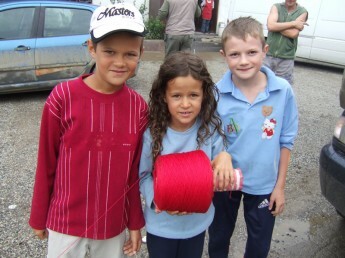 Emphasise peculiarities and specific advantages of certain regions; stimulate the use of under-utilized resources. 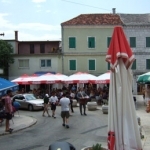 Involve the borderers (and other people as well), talk about their life and how it could be; connect Croatian counties, but also make contacts with borderers of the neighbouring countries. 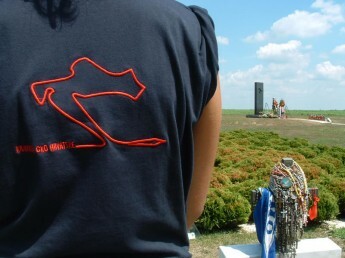 Other citizens can also join the project. 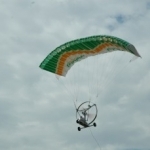 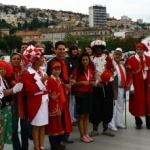 The group will stay longer in certain areas (cities, villages, mountains) and perform or participate in activities such as exhibitions, concerts, shows, sport competitions or various celebrations. 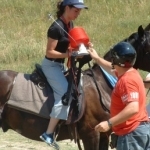 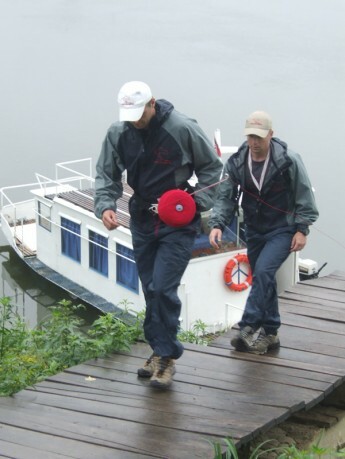 The team will climb the highest peak in Croatia (Dinara, 1831 m); a quantity of boats will join our team on the rivers and on The Adriatic Sea; Posavac horses will be ridden by the river Sava and Lippizaner horses by the Danube. 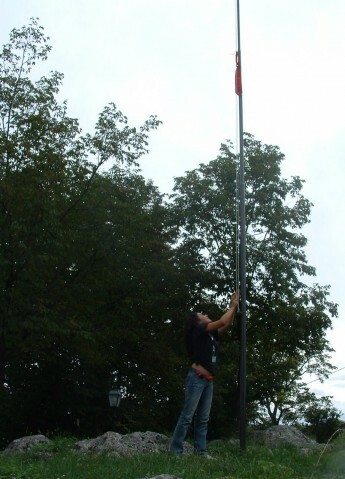 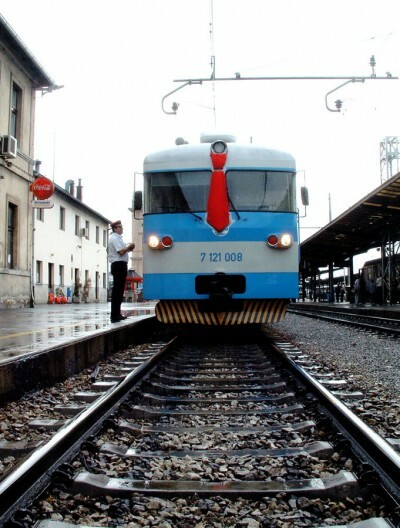 The project starts on July 10th and ends on September 8th 2006. 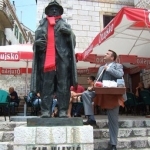 The starting and the ending point of the project “Cravat around Croatia” is Dubrovnik. 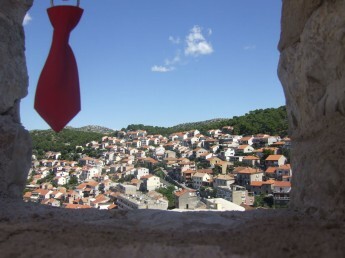 The project portrays Dubrovnik in a new way and uses the tie as a medium to present Dubrovnik as a jewel of Croatian and world cultural heritage and to invite tourists. 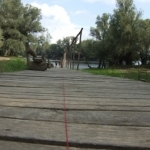 Croatia plans to tie a giant knot in red thread round its 4,000 kilometers (2,480 miles) of borders to promote the country’s cultural heritage and identity, organizers have said. 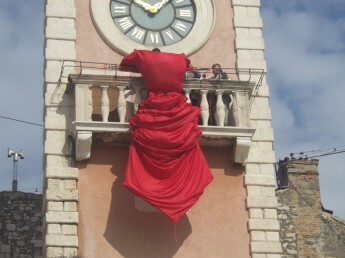 The project ‘Tie Around Croatia’ was officially launched in the southern Adriatic town of Dubrovnik, where it will also conclude with a ceremonial tying of “the smallest knot of the biggest tie”, they said on Tuesday. 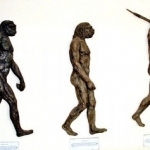 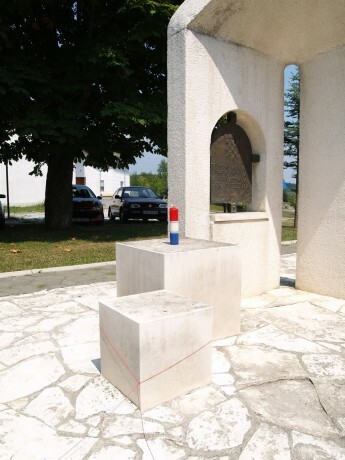 The main idea of the artistic installation is to link all Croatian diverse regions into a symbolic whole, the head of the Academia Cravatica, a non-governmental organization behind the project, Marijan Busic, told local media. 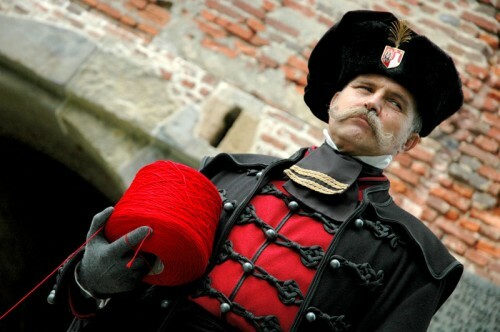 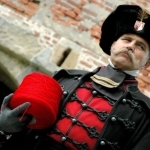 The word croata can be found in many languages as the root of words meaning tie or cravat, so called because they were worn by Croatians in the French army during the Thirty Years War in the 17th century. 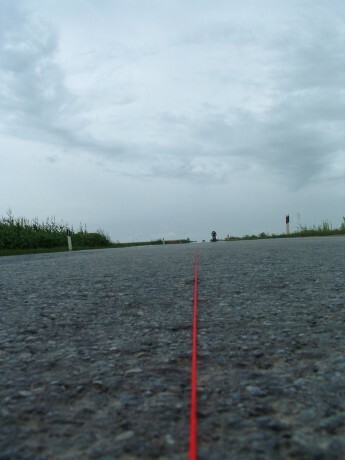 Over the next 60 days, a team of four mountaineers and three journalists will install the red thread along the country’s borders. 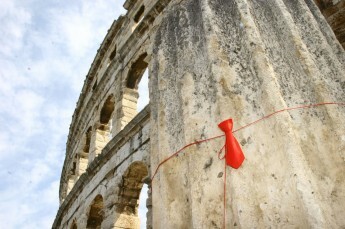 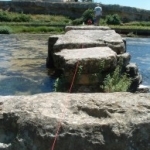 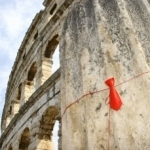 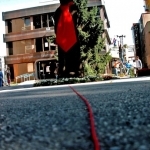 In 2003 the Academia dressed up an ancient Roman amphitheatre in the northern Adriatic town of Pula with an 800-meter (2,640-foot) red tie, breaking the world record. 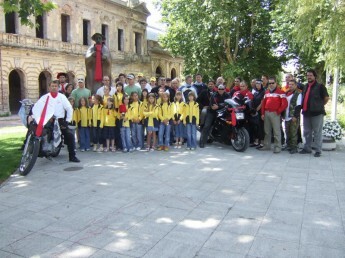 Josipa Rimac, mayor of Knin, and children from Knin’s kindergartens welcomed the team that symbolically ties a tie around Croatia on the 11th day of their voyage. 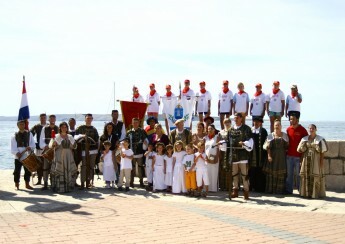 All the children were wearing ties for this occasion and they loved the mayor’s medieval costume. 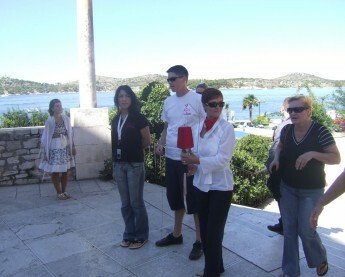 Members of the Cravat around Croatia team reached Topusko yesterday. 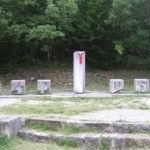 In Opatovina Park, in the shade of Cistercian portal from the 13th century, Sanatorium “Top terme” and the Topusko district prepared a warm welcome. 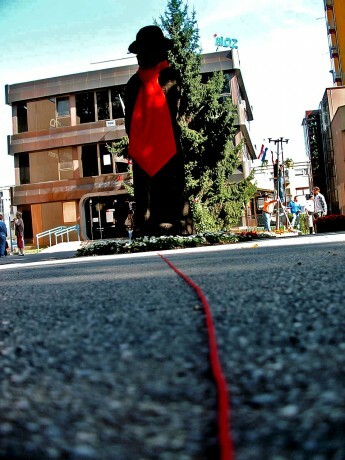 The guests knotted a tie around a giant, 500-year old oak. 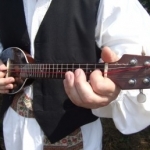 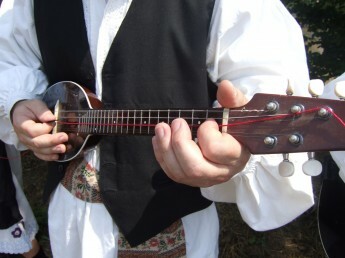 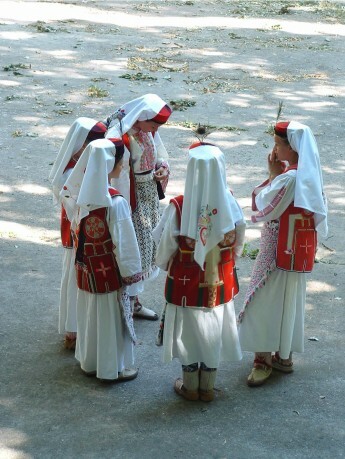 After visiting the Plitvice Lakes, Cravat around Croatia visited Rakovica where, with the sound of songs from Lika, Cravat’s team also tried their hands at folk dancing. 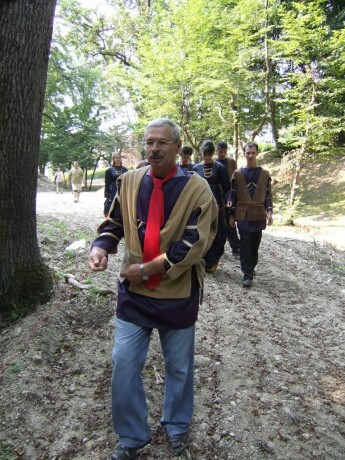 Later the cravat team continued its voyage towards the Barać caves, a unique natural beauty of Karst phenomena. 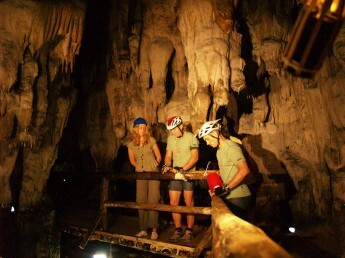 Our team was inside Gornja spilja (The Upper Cave), which is over 150 million years old. 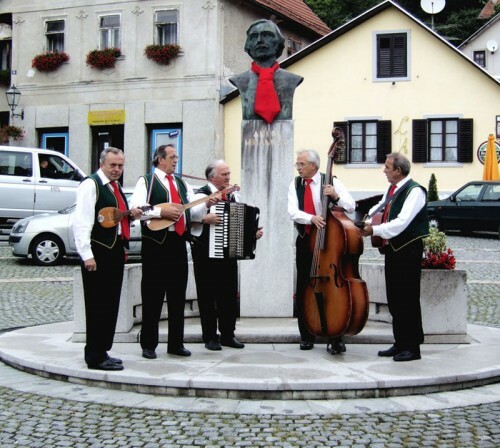 After visiting Rakovica, the team went towards Slunj and they will stop in Rastoke, a lovely water-mill village. 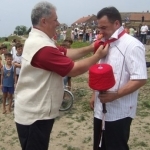 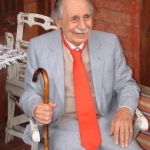 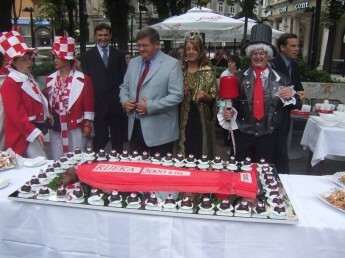 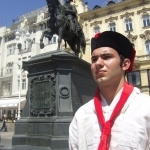 Metković also became a part of Cravat around Croatia project organised by a non-profit institution Academia Cravatica. 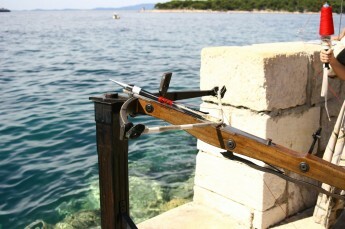 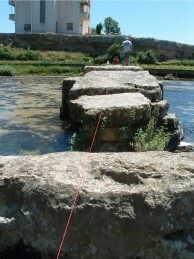 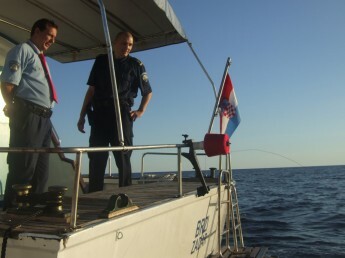 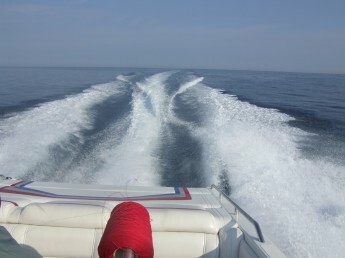 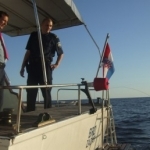 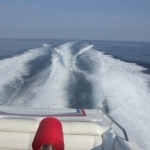 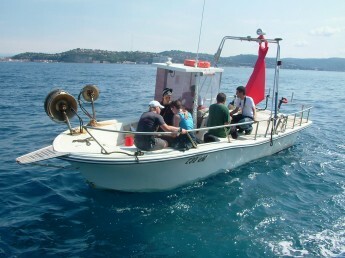 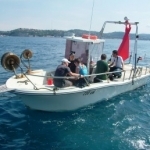 The team started from Dubrovnik with the intention to go along Croatian land, sea and river borders with a red thread and tsymbolically connect Croatian regions. 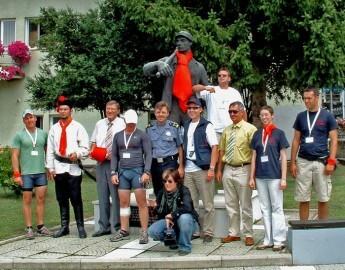 Domagoj’s pirates from Vid, boatmen who won second place on the last. 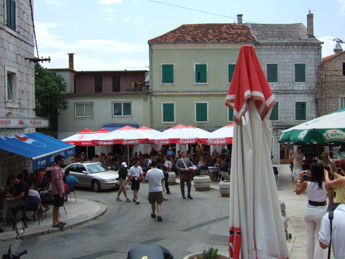 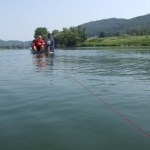 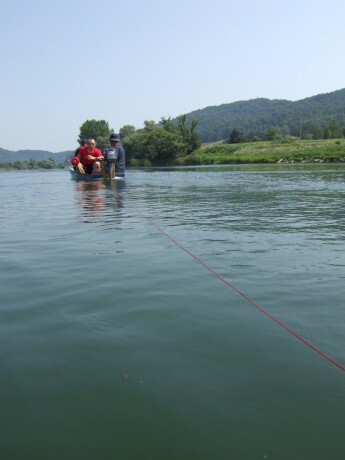 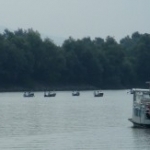 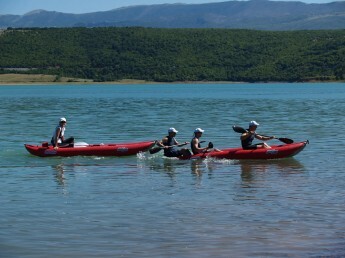 Boat marathon on the Neretva River, tied Dominik Rožić’s, Marko Demšar’s and Dario Rocco’s tie and transported them from Metković to Krvavac where they continued their journey to Opuzen on foot. 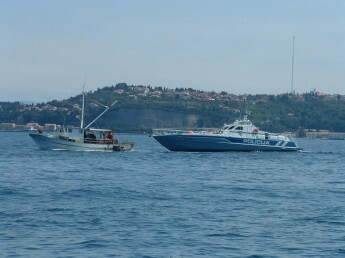 It is interesting that some activists of the project are connected with the boatmen from Vid from earlier. 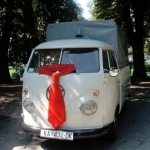 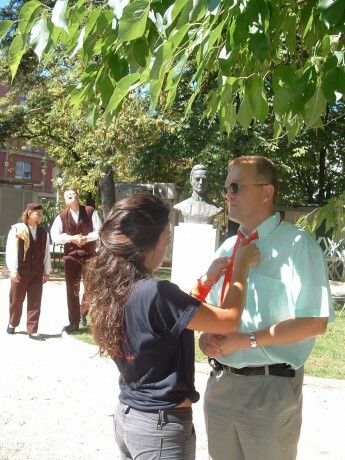 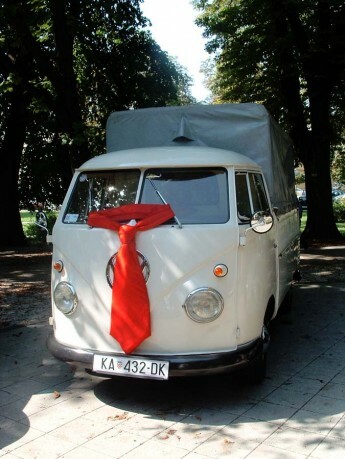 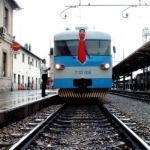 Yesterday the team that symbolically ties a tie around Croatia reached Knin. 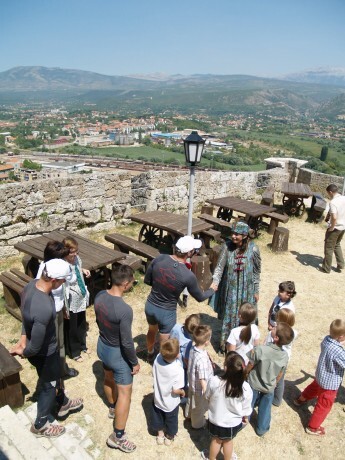 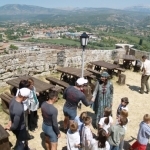 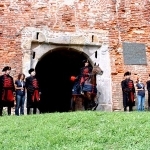 The mayor of the city, Josipa Rimac, welcomed them in a medieval costume. 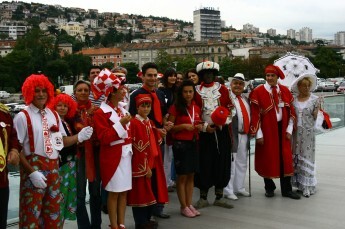 The day of Zagvozd district and the holiday of Our Lady of Carmel was celebrated on Sunday in Zagvozd. 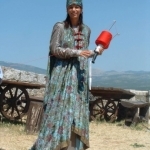 People from Zagvozd did not lack cultural events that day because 9th theatre festival “Actors in Zagvozd” was taking place. 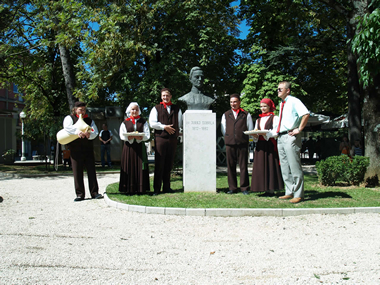 Lado company also performed there and a unique exhibition called “Men from Imotski in neckties from the turn of the 20th century” opened. 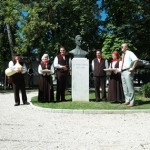 Academia Cravatica successfully organised the exhibition and the authors are M. Bušić, S. Budimir, S. Lončar and V. Mlikota. 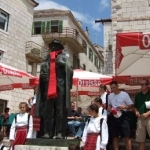 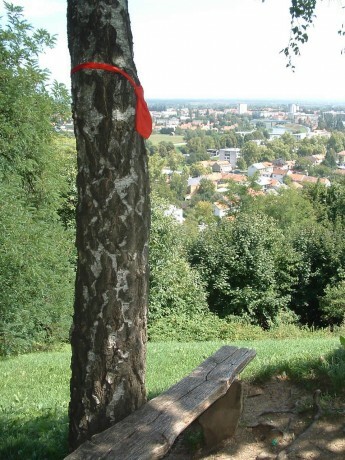 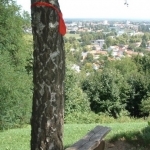 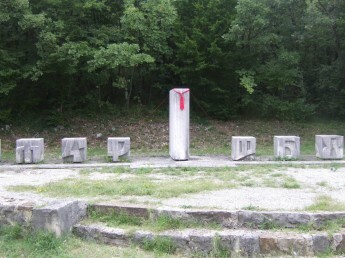 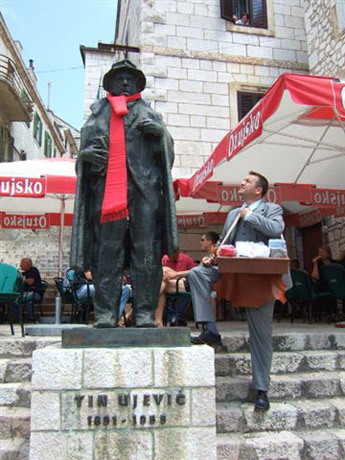 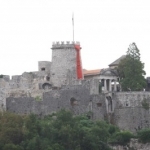 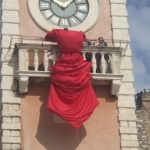 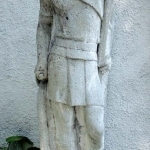 The famous Tin Ujević’s monument on the Old stairs in Imotski was decorated with a big red necktie. 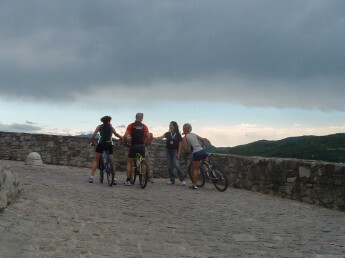 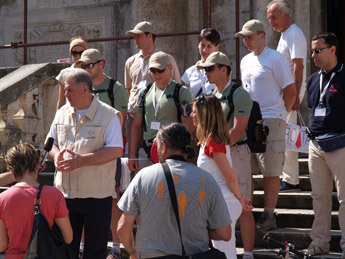 Representatives of the Academia Cravatica institution have reached Imotski. 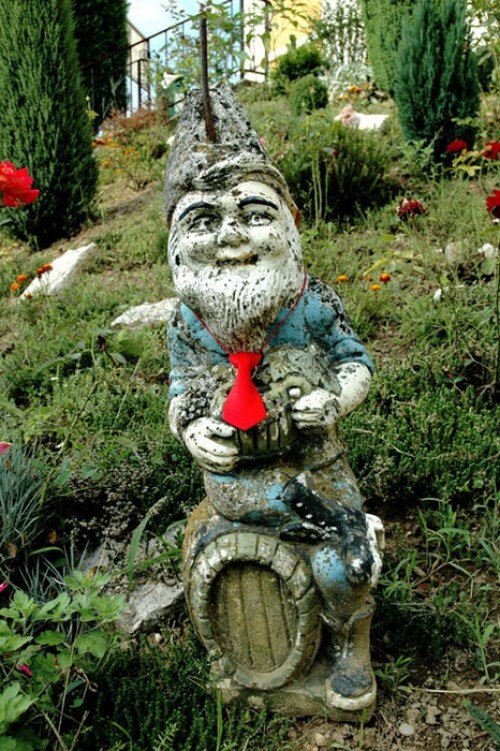 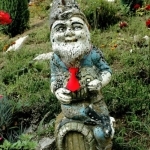 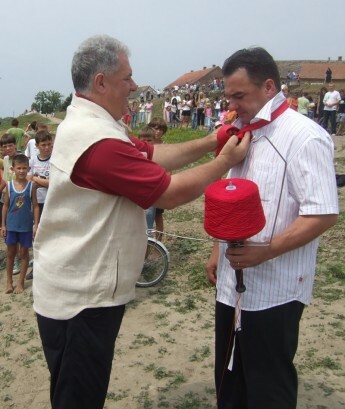 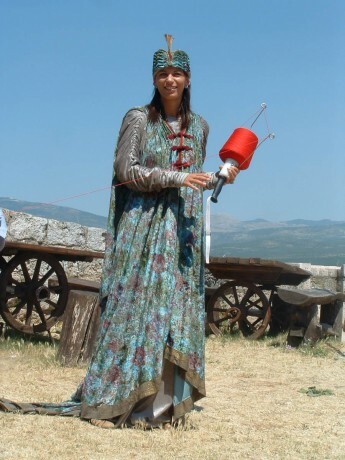 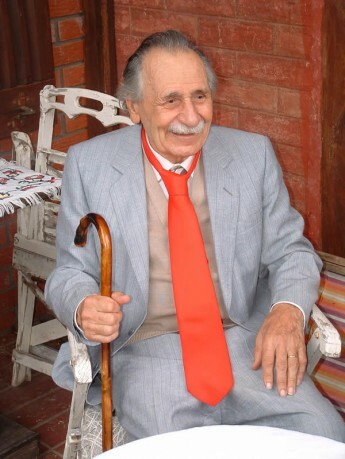 Aside from many people from Imotski and their guests, young people in traditional costumes, a real galantar from Imotski with a bag full of fancy good and a Dalmatian dog with a tie around its neck also accompanied the act of knotting the necktie. 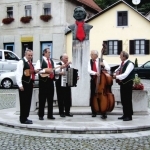 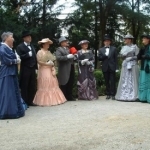 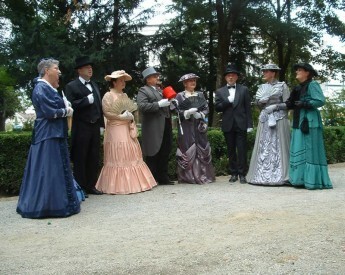 This unique programme continued with an opening of a unique exhibition called “Men from Imotski in neckties from the turn of the 20th century”. 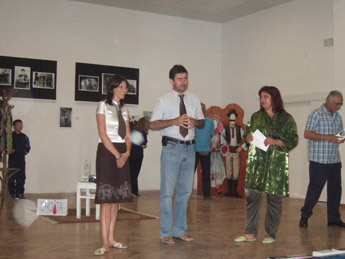 The exhibition is a part of the theatre festival “Glumci u Zagvozdu” (Actors in Zagvozd). 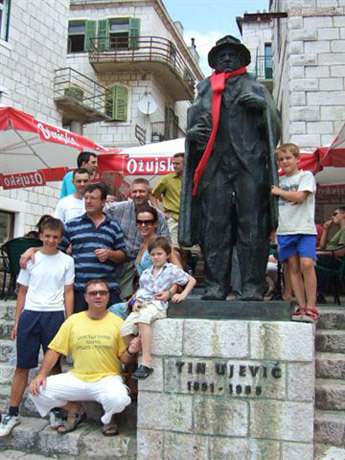 Domagoj’s pirates from Vid also joined the project that plans to connect Croatia into one big tie. 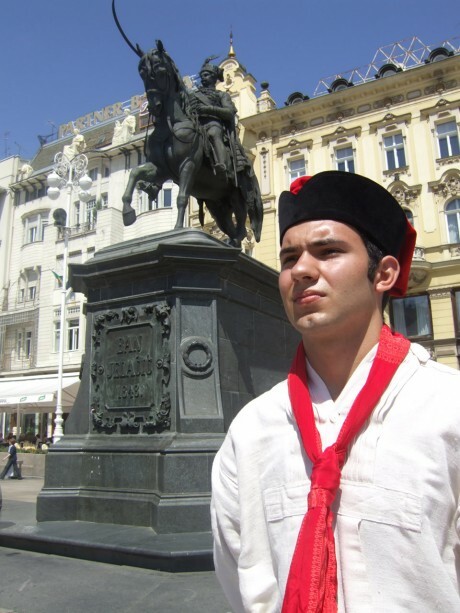 Boatmen from Vid sailed with the cravat boys from Metković to Krvavac where they continued their journey on foot. 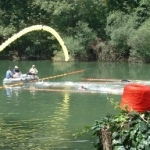 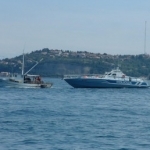 It is interesting that some activists of this project participated in the traditional Boat marathon on the Neretva River. 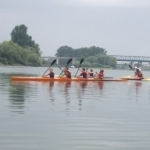 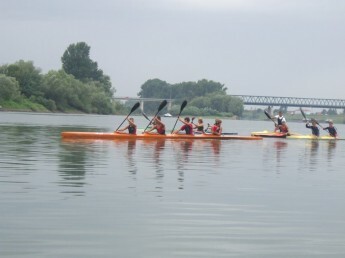 Yesterday members of the symbolic project, which connects Croatian regions and cultural and geographical diversities, switched from bicycles to canoes. 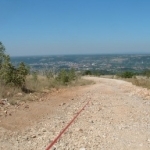 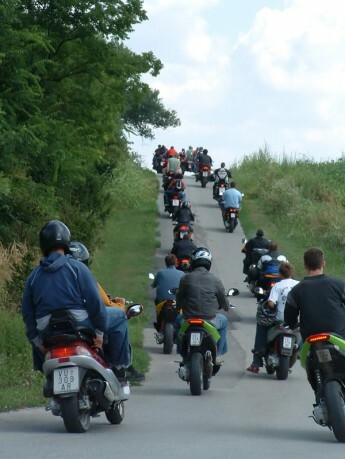 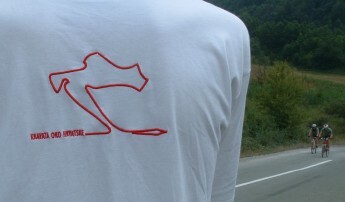 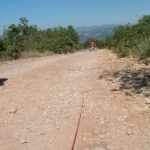 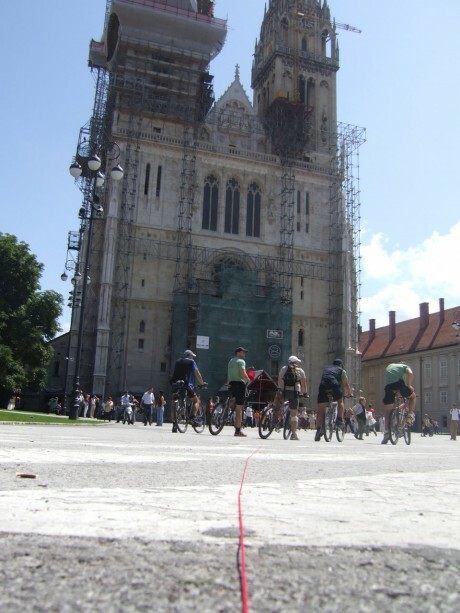 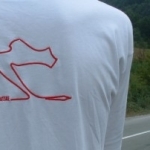 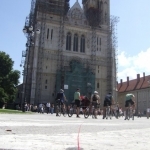 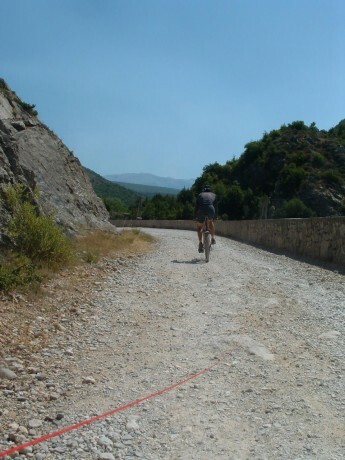 Cravat around Croatia team has successfully finished another 50-kilometre route. 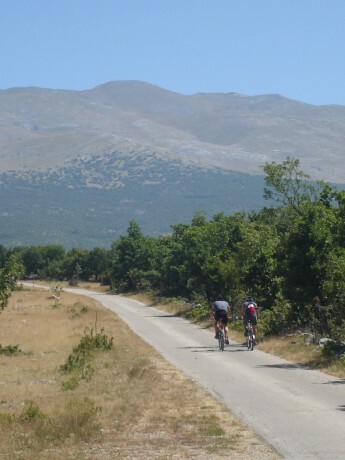 Marko, Dominik and Dario spent most of the day riding on bicycles in Podgora, Trnava, Smokovljani and other scarcely populated villages in Dubrovnik’s hinterland. 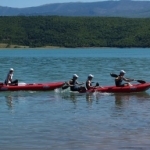 In Zaton doli the team switched from bicycles to canoes in order to cross a 23-kilometre sea border with Bosnia and Herzegovina. 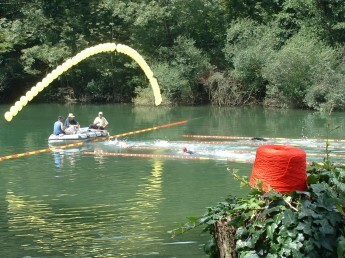 Strong wind and high waves made some problems, but our boys managed to reach Klek. 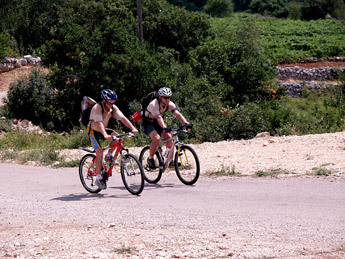 Today the team has to cross a hiking-cycling route Badzula – Mislina – Dubravica – Metković, then sail to Krvavac and sleep in Opuzen. 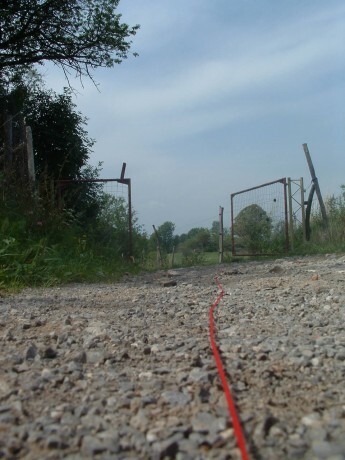 This installation encompasses 18 counties and plans to place a red thread along 4000 odd kilometres of the Croatian border. 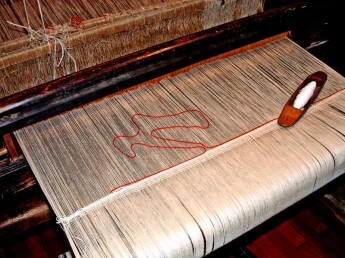 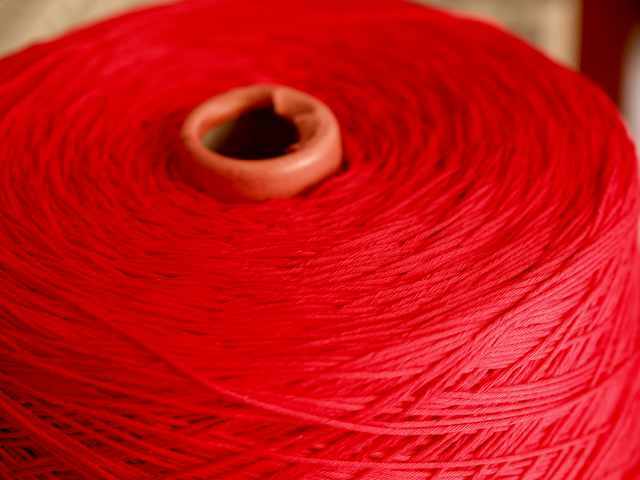 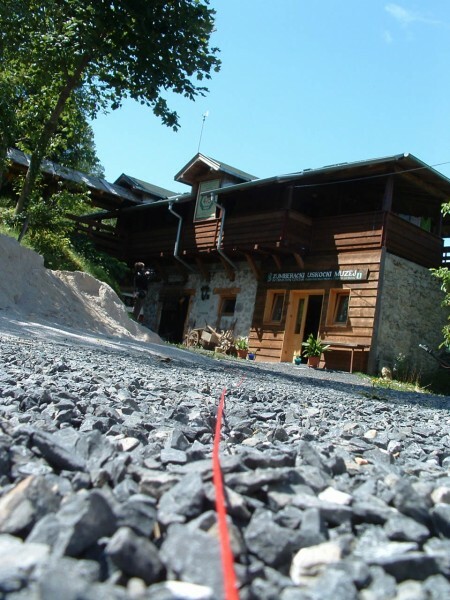 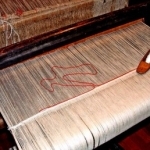 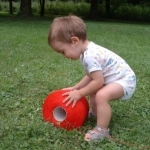 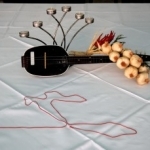 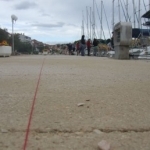 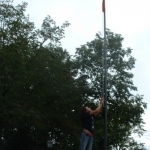 Manager of the institution Academia Cravatica pointed out that the main idea of the project is to use a red thread to symbolically connect all Croatian regions and cultural and geographical diversities. 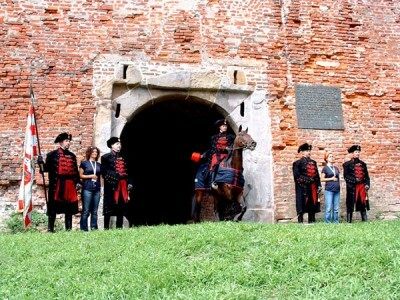 Within the project, various activities and events will be organised in many interesting tourist locations along the border. 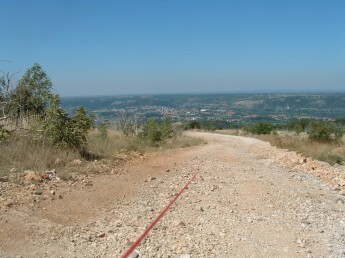 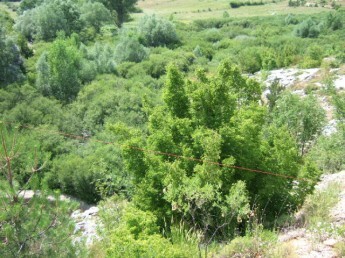 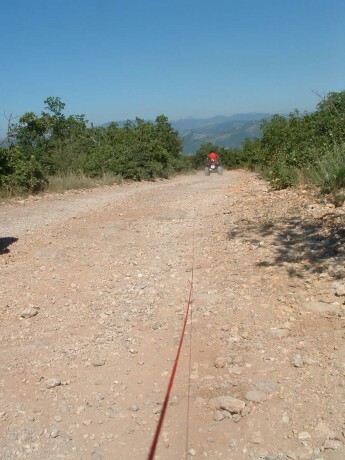 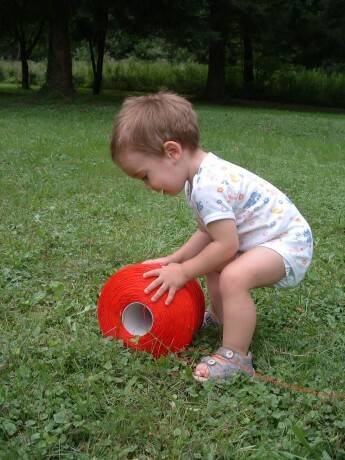 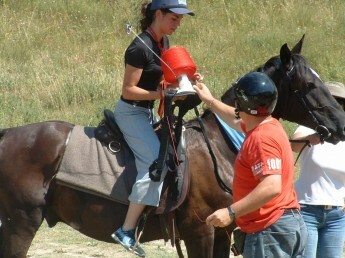 In 60 days, the Croatian border will be embraced with a 4000 kilometres long red thread. 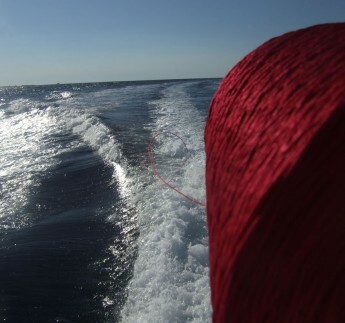 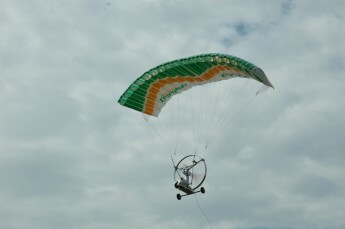 The thread will be placed near land and sea borders. 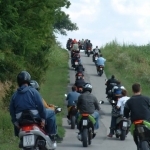 About a million people will participate in various activities on this journey and they will travel on foot, on horseback, by boats, jeeps and bicycles. 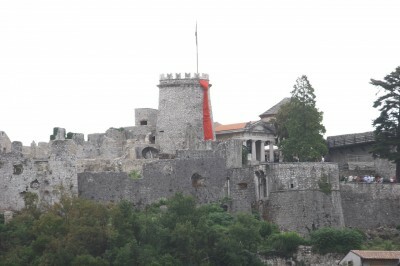 Dubrovnik. 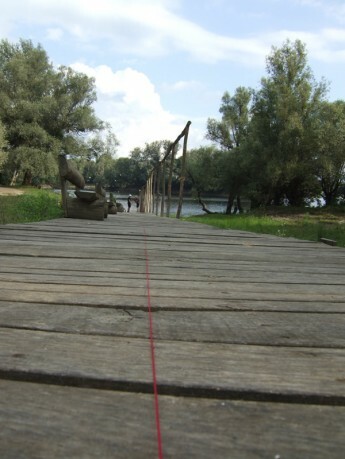 As a part of an art installation “Cravat around Croatia”, yesterday a team went from Dubrovnik to place a thread along the Croatian border. 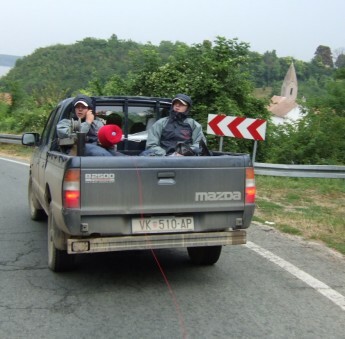 In two months, the installation will go through 18 Croatian counties and the estimate is that the group of people will cross over 4000 kilometres of the Croatian border. 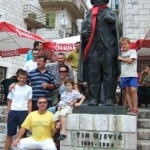 Galerija fotografija prikupljenih tijekom 60-dnevne ekspedicije diljem Hrvatske. 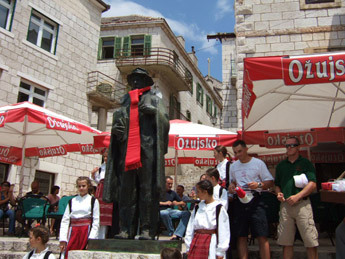 Od Dubrovnika do Dubrovnika preko Iloka.